Lake Wanaka, NZ (12 August 2013) – Twenty-two elite skiers and snowboarders were treated to a over a foot of fresh powder and clearing skies today as the World Heli Challenge lifted off with a Freestyle Day on untapped terrain at Mt Turner in the Wilkin. The athletes were flown from the Makarora Valley and made first descents on a new venue for the event, “As far as we know we are the first to ride this zone and the mix of natural features with a fresh delivery of snow made it an ideal pick for the Freestyle Day,” said event director Tony Harrington. 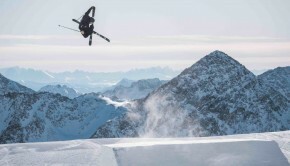 While the athletes put on a show using natural features to show off their freestyle prowess including double back flips, 720s, off axis rotations, and an amazing switch backside 360, a posse of ten photographers and filmers documented the day from take off to landing for the Canon Shootout. 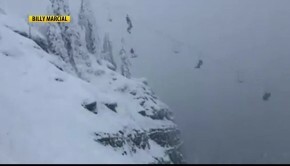 Adding a touch of Hollywood to the action, a heli-mounted Shotover camera system flew just metres above the athletes capturing every trick and powder turn in 3D. After a morning of low cloud, the conditions cleared giving the skiers and boarders two runs each. “Conditions were variable today with beautiful fresh powder at the top of the run, grippy snow in the middle and deep soft snow at the bottom, making it a challenge for the athletes. 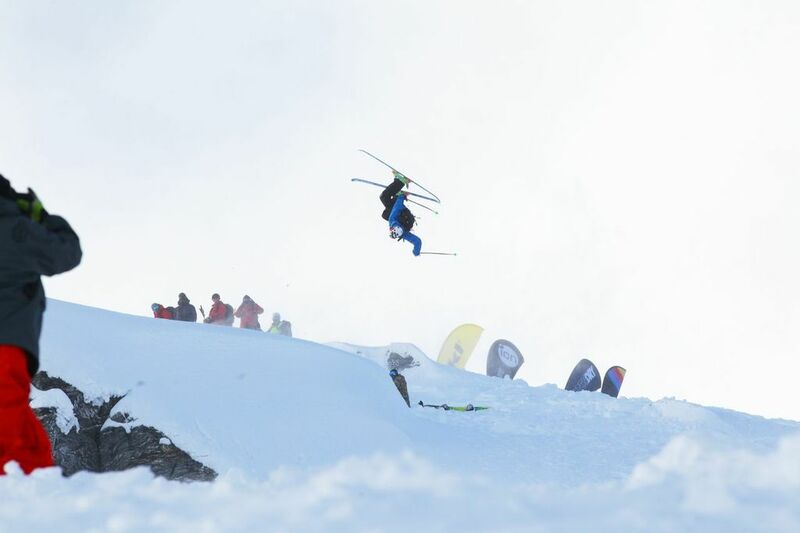 Regardless, they still managed some fast, competent skiing and pulled off some technical tricks,” said head snowboard judge Mike Hygemann. 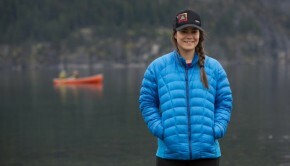 In addition to the on-venue judging the World Heli Challenge has developed a unique judging model that taps into an online panel of top judges around the globe who review each athlete’s line from long-lens footage. The World Heli Challenge crew are reviewing the weather to find a suitable day and choose the terrain for the Extreme Day later this week. Snowfall is expected tomorrow granting the athletes a well-deserved rest day when they plan to head to the west coast for an overnight followed by the annual surf day on Wednesday. The World Heli Challenge culminates at the Lake Wanaka Centre on Thursday 22 August with the iON Showcase Awards and Canon Shootout. “The build up is intense and the athletes only find out who’s won on the night. It’s one of the best parties of the season and the Canon Shootout makes it a winter film festival on steroids,” said Harro. “It’s a real buzz to bring all the highlights of the event together and to celebrate it with the community here in Wanaka.” Tickets for the iON Showcase Awards night & Canon Shootout are $20 and available at The Board House and Racers Edge. The World Heli Challenge is well supported by the regions leading helicopter and heliskiing operations as well as local landowners. 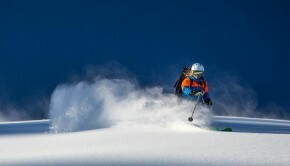 Today’s event at Mt Turner was guided by Southern Lakes Heliski using their terrain. 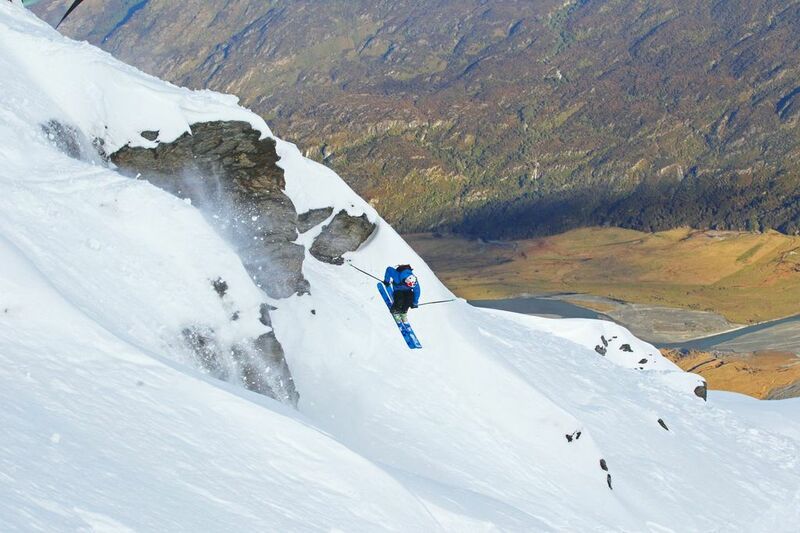 The World Heli Challenge is an elite heli-accessed ski and snowboard event attracting athletes from around the world to challenge themselves in the backcountry terrain surrounding Wanaka. 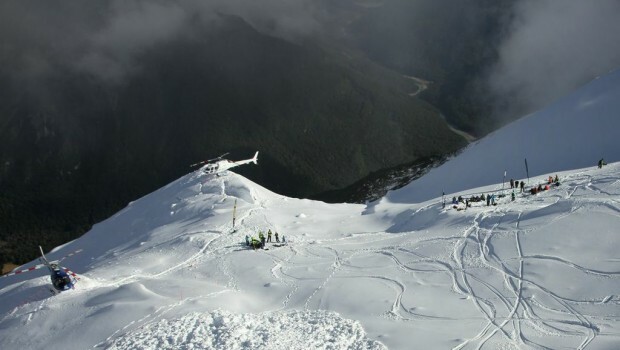 Southern Lakes Heli fly the competitors on two competition days – a Freestyle Day and Extreme Day. Athletes are judged on their overall performance across both days, their abilities to showcase their freeriding skills in steep and challenging terrain and to deliver a smooth, strong and consistent line. Outside the two competition days athletes explore the local area enjoying the town and getting a local flavour of New Zealand with opportunities to shear sheep, plant native flax with locals, ski at Treble Cone and Cardrona and a keep their adrenaline levels high with host of adventure activities in the area. The Canon Shootout film and photographic competition is as hotly contested as the skiing and snowboarding and attracts world-class action filmers and photographers who follow the athletes and create stunning short films and photos screened and judged at the iON Showcase Awards Night.